Trademark issues are common in the brewing industry. With thousands of businesses in operation and plenty more looking to get into the business, brewing companies are often forced to abandon names they are fond of because somebody got there first. Such was the case with the founders of Dark Ages Brewing. After coming up with that name and drawing up a “plague doctor” logo, they were forced to let the name go and come up with something new. 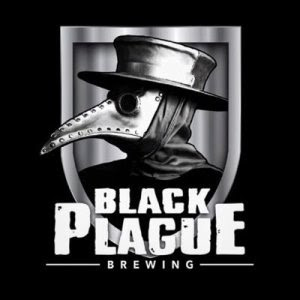 But they loved that logo, so now that business, which is slated to open in Vista, shall be known by the rather menacing handle, Black Plague Brewing Company. According to company co-founder John Kilby, England’s infamous Black Plague gave rise to the tavern in certain townships as people gathered in search of communalism during the worst of times. In a much brighter sense, Black Plague Brewing hopes to celebrate bringing people together for purposes of socializing and celebration. But first, there’s much work to be done. Kilby and company are about to close on a spot sharing space with an existing restaurant that includes a 2,000-square-foot outside patio. That may be done by the time this article goes to print. After that will come the installation of a brewhouse—likely a 15-barrel system—followed by brewing. Even with all of that, the Black Plague team is aiming for a summer opening. Once constructed, the brewery will be the domain of Dr. Philip Vieira, a neuroscientist with experience working at a Southern California nanobrewery after earning numerous awards as a homebrewer. The amount of beer he’ll brew annually has yet to be determined (between 1,500 and 10,500 barrels), but his standard portfolio should come in around 10 beers with a quartet of specialty offerings. Core beers will be varied from a body standpoint (light, medium, dark) and include a cream ale, golden rye ale, Irish red ale, Scotch ale, India pale ale, black IPA and stout. Expect more adventurous styles—sours and Brettanomyces-fermented beers—from their specialty brews. Though too early to be working toward steps two through 200, Black Plague’s ownership team says the sky is the limit and is entertaining out-of-state distribution and multiple taprooms in the future. For now, it’s about incubation in hopes of a full-on mid-summer outbreak.